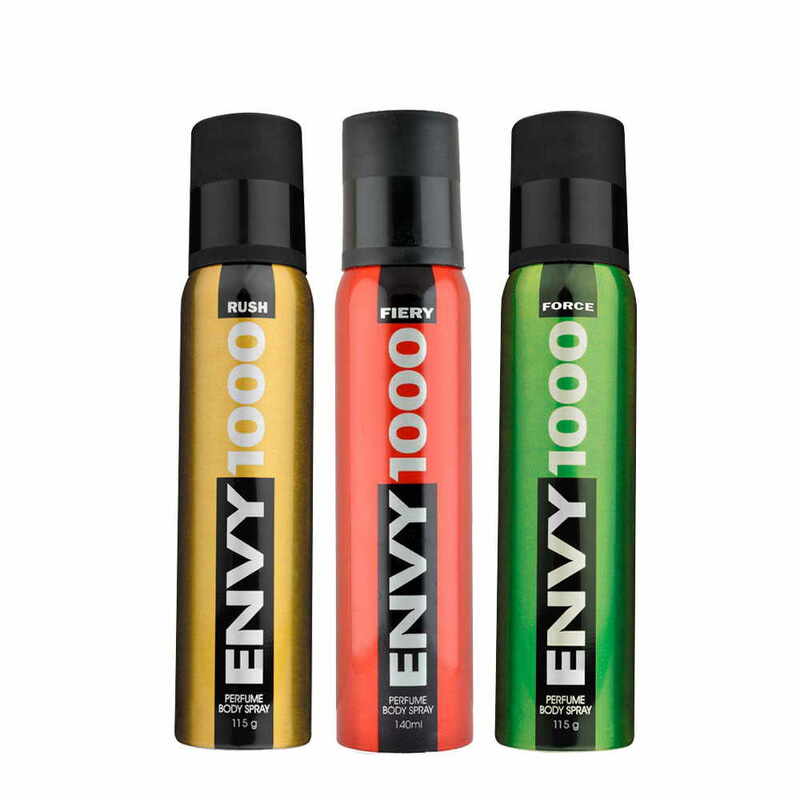 Envy 1000 Envy 1000 Rush, Fiery, Force Pack of 3 Deodorants Seductively masculine and intensely powerful, the Vanesa Envy deodorant spray combines the best of fragrances and creates an irresistible composition that flatters with every spritz. Strong and intense like the characteristics associated with every man, this deodorant is the perfect formulation to envelope your entire aura. The deodorant exudes a freshness that is distinctive and leaves you with radiating energy. Product #: Regular price: Rs.585INR585(Sale ends 01 January ) Available from: DeoBazaar.com Condition: New In stock! Order now! Explore Envy 1000 | More Combos And Giftsets | Why shop from us? Seductively masculine and intensely powerful, the Vanesa Envy deodorant spray combines the best of fragrances and creates an irresistible composition that flatters with every spritz. Strong and intense like the characteristics associated with every man, this deodorant is the perfect formulation to envelope your entire aura. The deodorant exudes a freshness that is distinctive and leaves you with radiating energy. Envy 1000 launched by Vanesa Group gives you guaranteed 1000 sprays of long lasting fragrances for men and women, crafted with perfection these fragrances are recommended for daily wear.